Summer is on the horizon, and Wimbledon is around the corner! Us Brits love nothing more than to sit with a delicious bowl of strawberries and watch the game. Tennis players are seriously well conditioned athletes and can often make us feel a little unfit ourselves while watching them grace our screens. Although they follow gruelling training and eating regimes, you too can become the best version of yourself with a few easy changes to your diet and lifestyle. We are all desperately trying to achieve our version of that much desired 'summer bod'! 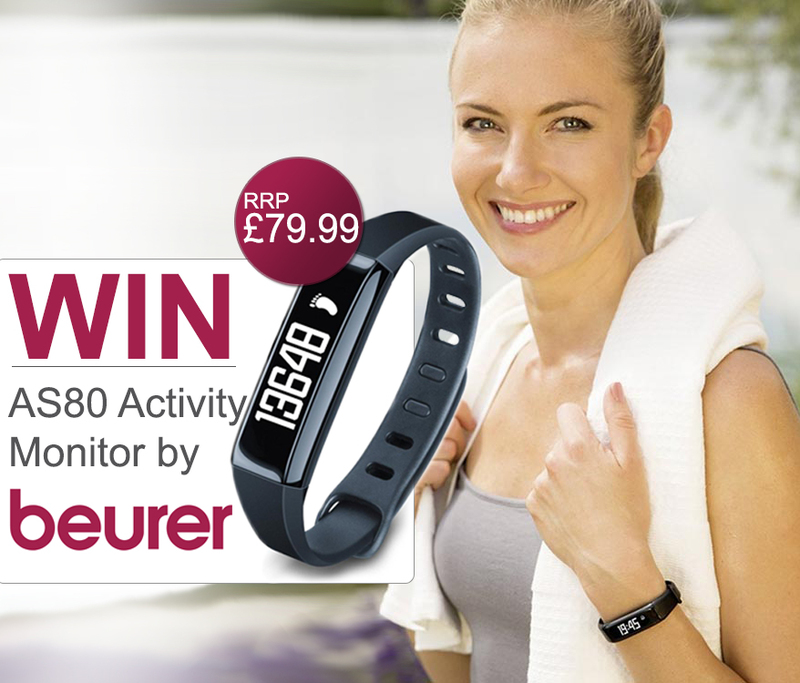 Inspired by the incredible tennis players at Wimbledon this year we are running a competition where you can win a Beurer AS80 New Generation Activity Monitor. Whether you love tennis, running or any other sport, we wanted to give you a few tips and pointers - a few small changes to your diet and fitness regime can help make big visible changes in the long run! Start changing your life today and follow our tips below. The hardest part of staying on track with your fitness goals is keeping up the motivation to stay on track and reach them. When you set yourself a SMART goal you are mapping out exactly what you need to do, you have a plan and a goal in sight. Specific - What is your goal? For example, it could be to lose 10 lb before your holiday in August. Be specific and write down exactly what you want to achieve. Measurable - How are you going to measure your progress? Are you going to weigh yourself every Saturday and take measurements? Keep a note of your weekly numbers to measure your progress. The Beurer activity monitor will give you personal evaluations and fitness data whenever you want and holds onto information such as your measurements, blood pressure and weight. Agreed upon - Once you have decided upon it STICK TO IT. Don't make changes or move the goal post. Realistic - Are you being realistic? Have you got enough time? Make sure your goal is achievable in the time you have; if not, set the bar a little lower. Time based - How long have you got to achieve this? Write down the specific time and REMEMBER. Invest in a great protein powder and reap the benefits! Having a good quality whey isolate powder is a staple part of any fitness enthusiasts eating regime and also for those who are new to healthy dieting. Whey isolate powder is great to have for breakfast or as a post-workout meal. Containing extremely low carbs and fat, a scoop of it in 20-30g of oats in the morning gives you a filling yet low calorie breakfast that will keep you going. It's fast and easy to prepare and helps build your muscles and shed body fat at the same time. Carbs are not your enemy so don't stop eating them! Of course shoveling in heap loads of bread is not doing you any favours, so yes - you need to lay off the pizza, cheese and other stodgy carbs. The myth is that you have to cut out all carbs to lose weight, but this isn't sustainable nor is it good for you. Your body needs carbs for energy and glycogen stores. The trick is to swap the bad for the good. White stodgy carbs like pasta, white bread and white potato should be swapped for 'good carbs' such as whole wheat/grains and nutrient dense sweet potatoes. Roasted sweet potatoes will satisfy your sweet cravings without that post-sugar slump. Rich in fiber, beta-carotene, amino acids and vitamins A, C and B6 they are an excellent source of slow release carbs. Greens - which are best ? Make your vegetables matter Ditch the lettuce because it's pretty much nutritionally void; make sure your salads and greens pack a hard nutritional punch. Swap your lettuce for spinach. Spinach is high in niacin and zinc, as well as protein, fiber, vitamins A, C, E and K, thiamin, vitamin B6, folate, calcium, iron, magnesium, phosphorus, potassium, copper, and manganese. Green beans are also a big contender when it comes to green power! Green beans are a good source of copper, vitamin B1, chromium, magnesium, calcium, potassium, phosphorus, choline, vitamin A (in the form of carotenoids), niacin, protein, omega-3 fatty acids, iron, vitamin B6, and vitamin E to name but a few. Grapefruit & green tea to the rescue - the dynamic duo of fat loss! Grapefruit is known as a 'negative calorie' food which means it takes more calories to digest and burn it than what it contains. Eating a bowl of grapefruit before 2 of your meals a day can help you to shift a few extra pounds. Swapping your daily cups of tea with green tea can also help you burn stubborn fat. It is loaded with antioxidants and nutrients that have powerful effects on the body. This includes improved brain function, fat loss, a lower risk of cancer and many other incredible benefits. Want to WIN this fabulous prize?